As previously mentioned, John Pye Real Estate has been announced as a finalist in the Hornsby Local Business Awards. 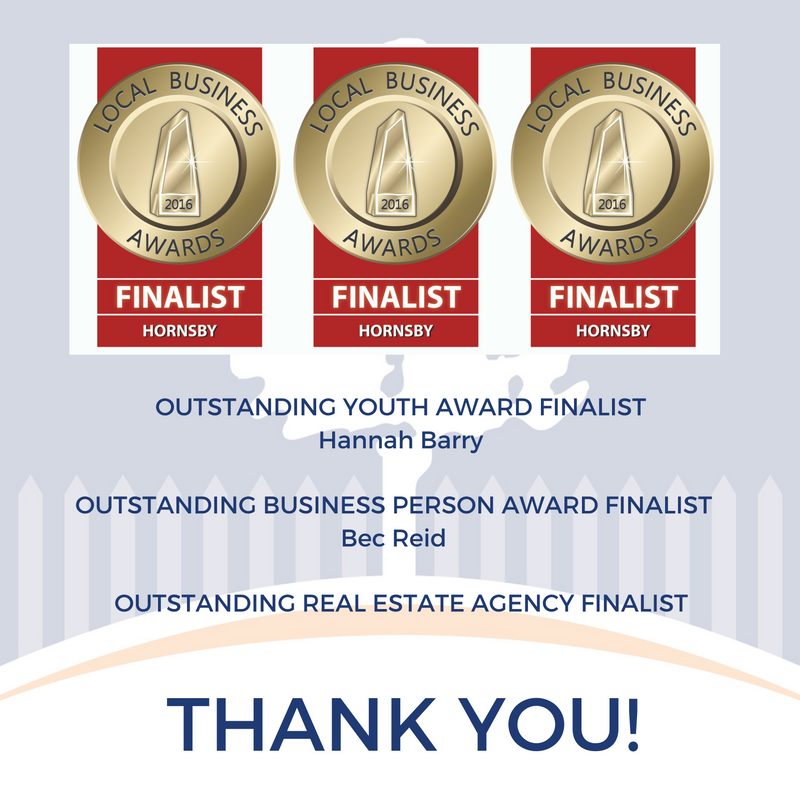 Since that date, we are excited to share that Hannah Barry, one of our Property Managers, is a finalist for the “Outstanding Youth Award”. This award is for Under 25’s who are achievers in the workplace. Also, Bec Reid, one of our Directors, has been selected as a finalist for the “Outstanding Business Person Award”. Our company nominated Hannah and Bec, and they have been selected by an award panel. We are extremely proud of these ladies and also each of our team members, and wish that all our incredible staff could be publicly recognised like this for the outstanding work they do for our clients. The winners will be announced on November 2 at the Business Awards Gala Dinner.